This year’s RMA fundraiser was a fabulous event! Board members, staff and volunteers went all out to create an awesome event full of fun. The food was spectacular, the band was hot, the art is definitely enchanting and the gnome, flower and forest décor was the icing on the cake! If you have a chance, go see the show… you won’t be disappointed. Jill had 3 pieces in the show and won a prize! Rawls Museum Arts is located at 22376 Linden Street in Courtland, Virginia 23837. 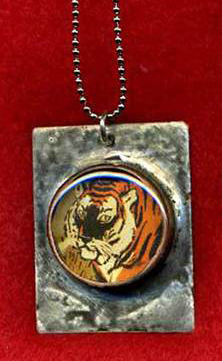 Winter is a fabulous time to hunker down and make some jewelry! As soon as the snow lets up, I will drop off my new pieces at Shooting Star Gallery in downtown Suffolk, Va. I’ve worked up a lot of different styles, focusing on texture and color with lots of copper, silk fibers and sparkle. Here is a preview… I hope you enjoy them. After a few days or weeks of diligently working in it – pouring my heart and soul into it, covering pages with gorgeous colors and textures, and making art JUST FOR ME, I get excited about another project and leave my book behind. I don’t mean to abandon it…. it just happens. This time has been different! 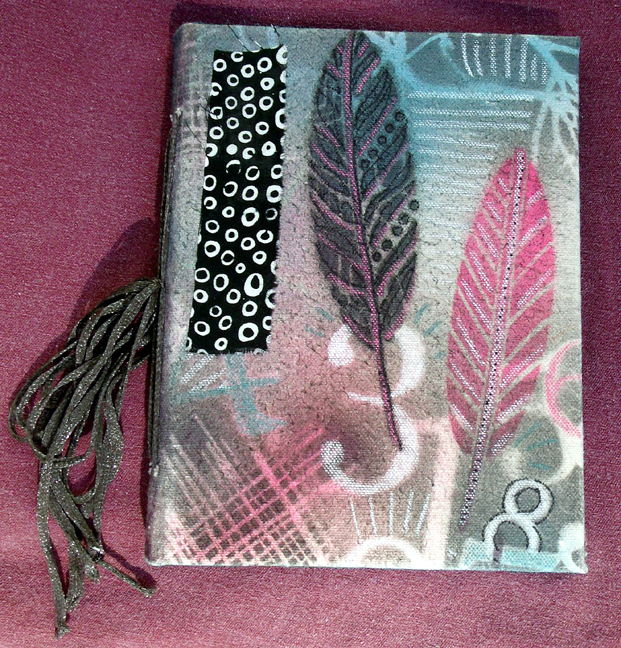 With Gina Rossi Armfield’s No Excuses Art Journaling – Making Time for Creativity I have been working in my new journal EVERY DAY since October 1st. I look forward to getting home from work and playing in it for a few minutes each evening! On the weekends I watercolor the pages and work on the weekly and monthly prompts. It doesn’t take long, and it is truly a labor of love. It has been such as rewarding experience, and I love to look back on my brightly colored pages and see what I have accomplished. The NO EXCUSES website describes the process like this: Using a day planner as your art journal, you’ll find daily, weekly and monthly prompts that you can adapt to fit your real-life, busy schedule. Along the way, you’ll learn fun and convenient techniques to add sketching, watercolor painting, collage and more into your journal, all while setting goals, creating art and chronicling your unique life. Of course, there are lots of ways to make the journal unique to you! I started out in a small watercolor journal just to see if I would keep up with it. I really loved the paper in it, so for my 2015 journal I chose a larger watercolor journal instead of a planner and I draw the boxes and dates in each week. This gives me the freedom to spread glorious watercolor all over each page! 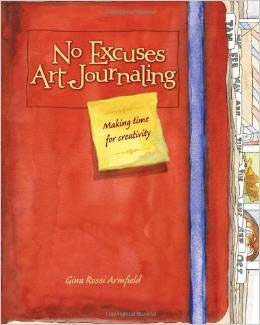 If you have ever been interested in starting an art journal I would highly recommend this book and Gina’s process. From getting your book ready for use to inspiration each month, she really does take away the “I don’t have time” and the “I don’t know what to write” excuses! 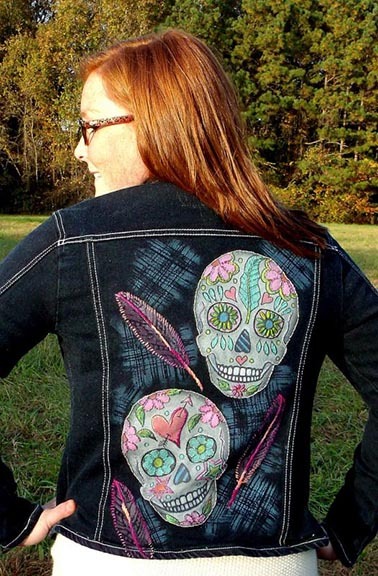 Gina’s website also has a gallery of artist’s pages for you to find even more inspiration! ps…. this process offers lots of practice drawing, writing and painting, and it’s a great project to use your rubber stamps and stickers again! It is getting cold here in Virginia so I jumped at the chance to head to Florida with some friends for a few days during my New Year’s vacation. We drove down to the Gulf Coast to put our kayaks in the warm water and have a little fun before we have to settle in for a long, cold winter. Crystal Springs was fabulous — our motel backed right up to the river. We enjoyed two glorious 75+ degree days on the water before heading back home. We saw several manatees, met lots of really nice people and photographed plenty of interesting birds. I christened my new boat in the Crystal and Salt Rivers, saw the infamous Three Sisters Springs, tried paddle boarding for the first time, enjoyed the local cuisine and laughed a lot! Thanks to my men for my new kayak and paddle, and to Troy for use of his truck and for teaching us the proper way to secure our boats to the top of it. Also, thanks to my friends for such an awesome adventure and for use of their words and photos in this post. December 27, 2014 at 2:36 pm Loaded and ready!! December 28, 2014 at 8:47am Making good time! 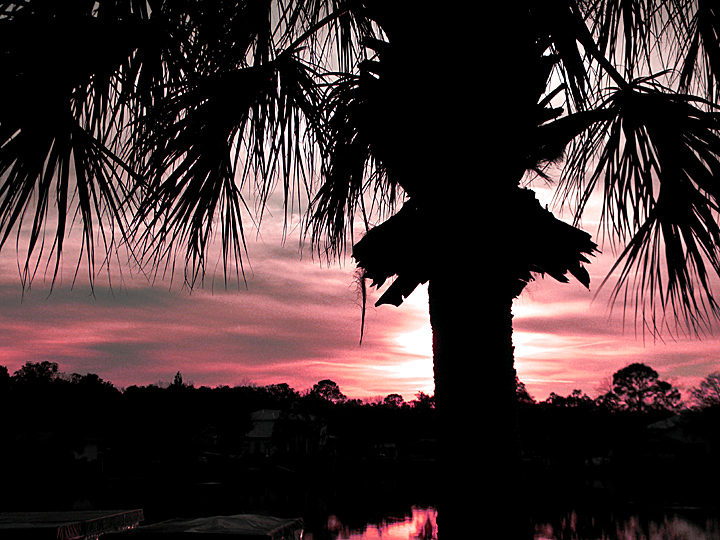 December 28, 2014 at 1:42 pm About 2 hrs left to go…Sunny and low 70s. Glad to be off I-95 though, traffic started getting heavy with holiday travelers! December 29, 2014 at 6:46 pm What a GREAT day! Ending it at a Mexican restaurant with Tiderman sibling Terry and hubby Jack who drove an hour to see us. Will post about today just as soon as we get back to hotel room…but long story short, it has been fabulous! December 29, 2014 at 9:01 pm Day 1 Sunday: We left Sandy’s house about 3 am and hit the road. Sandy drove the VA-NC leg, then I took over across SC, Terri across GA and Paula picked up driving duties from Jacksonville west across FL to our hotel in Crystal River. We arrived around 4 pm and realized our hotel backs up right to open water and a dive shop where the guy hooked us up on where to launch from and restaurant suggestions. Met folks in the hotel area from all over! Ate dinner at a seafood restaurant he suggested on a winding back road overlooking the gulf, then came back to room and crashed! The ride down was smooth, and after we had all taken turns sleeping — full of laughs and good conversation! Thanks to Troy for letting us use his big comfy truck! 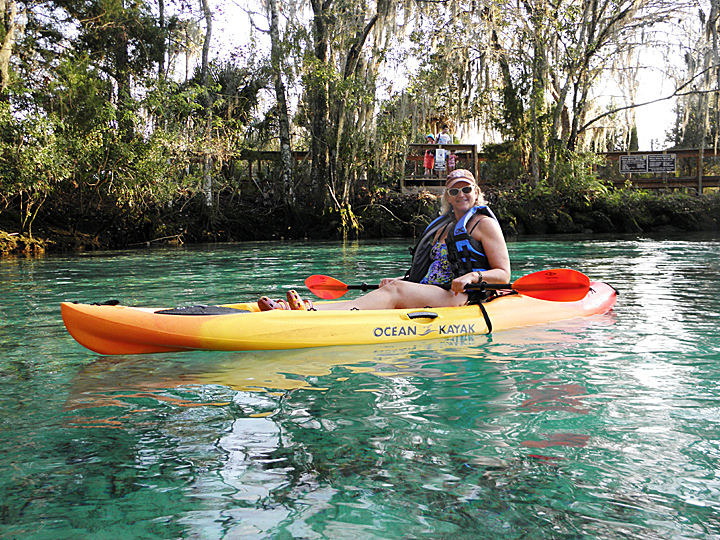 December 29, 2014 at 9:23 pm DAY 2 Monday: Launched kayaks about 10:30ish this am at Kings Bay Park and immediately found out that several hundred kayakers, campers, divers, snorkelers, and other manatee enthusiasts know about Crystal River too. Didn’t see our first manatee up close for a while but suddenly one was swimming along beside us! They are such peaceful, majestic animals! Spent several hours kayaking, with a break at a beach to eat lunch and take a dip. Then back to more kayaking and manatee watching. Went into a beautiful little cove called Three Sisters Springs where water was lovely shades of crystal-like blue. Paddled back to the park about 5ish where we were surprised by Terry and Jack waiting for us on shore! Tomorrow we head back for another day of it, hoping to find more isolated trails with a few less tourists. Good night sisters…we are crashing with big smiles on our faces tonight! Love to u all! December 30, 2014 at 10:56 pm DAY 3 Tuesday: Slept in a little bit longer this morning but then went souvenir hunting at nearby shops. Mike, the owner of the dive shop behind the hotel and Steve, captain of a sight-seeing boat, turned us on to alternative kayak trails off the beaten path away from tourist-mania…best part being we only had to launch right behind the hotel in the cove. We set out at noon and paddled out to the edge of the Gulf. Along the way a huge manatee spooked and jumped out of the marsh, creating a 3 ft wake that almost swamped Terri! It was scary to watch, but we laughed hysterically when it was over! She was convinced it was a gator, but locals have insisted they are hibernating now. Paddled for about 6 hours and saw plenty of manatee on way back, but just as we returned to the cove we launched from, a local family came out and befriended us. They let us try out a stand-up paddle board. Major fun with that! They suggested a little local hole in the wall place called Castaways for dinner, and we had good food and fun there! Returned to hotel where we loaded up for an early, early departure tomorrow am. What a fabulous trip! And the locals have been so nice. We want to return some day with the rest of our Sistas! Love to everyone…see u soon! December 31, 2014 at 4:16 pm DAY 4 Wednesday: On road since 5:30 am…almost home.